Warm socks. Hot cocoa. Sweater weather. Cozy nights sat by a fire reading books. That’s what October is all about to us. 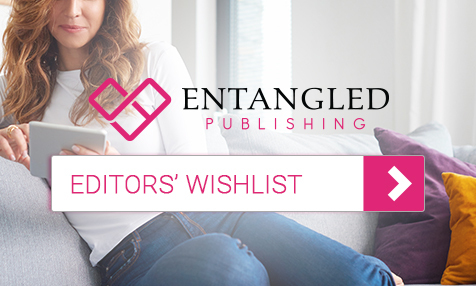 It’s also time for our latest wish list as the editors at Entangled Publishing are looking for the next breakout hit. Could that be your book? Make sure to read until the end as we have some special calls as well. Each month, we have a new wish list from our editors. Watch for them as they’ll change monthly. Let’s discover each other today! We are always on the hunt for high-concept books featuring marginalized characters. I’m looking for historical either for Scandalous or Amara. Of course, fresh, high concept ideas but I’m a sucker for humor and snarky voices. I love it when the duke gets the girl because she lets him! But also, I love it when the story pulls on my heart strings. Regency, Vikings, Scottish Highlanders, or Medieval stories are the eras I’m focusing on. In addition to historical I’m also looking for stories for the August line. Relatable characters in their thirties or forties who are starting a new chapter in their lives, or looking for a second chance, people who never found love because of their careers, etc. Of course, humor and or the ability to give me the feels are a must. Sweet, small-town romance with a fresh premise, lots of heart, and world-building. Romantic comedy a plus! AMARA: We’re looking for big stories, with memorable characters, and a strong romance (or romances) throughout. In contemporary, we want those big ideas with a fun twist. Historical we want Vikings, Regencies, and we’re always happy about Highlanders. In paranormal, we’re looking for big, high-concept ideas with brotherhoods or band of brothers type stories. And we want high-stakes thrillers with a strong, slow-burn romance. We are especially seeking diverse stories with high-concept ideas. These novels must be 80k and above. I really want to see more YA submissions with nonbinary lead characters. Any genre or type. Wendy Chen is looking for fresh new storytelling voices for August or Bliss, including diverse, multi ethnic characters. I love true-to-life characters involved in law enforcement, work with animals, or kids.